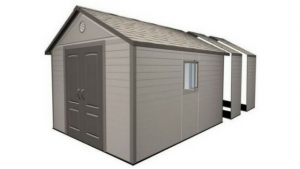 Eliminate your resin shed construction worries with this first-rate company offering the hugely sought after solution regarding a plastic shed assembly service – UK. As long as you purchase the resin shed with them, installation is offered and assembled by a qualified engineer throughout the UK. 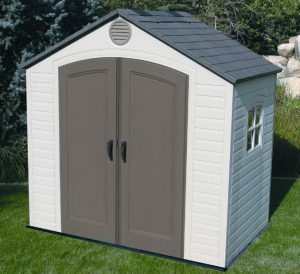 The best bit, purchasing these quality plastic sheds are at the most competitive prices with sales and assembly service specific to the global best selling range of Lifetime sheds. 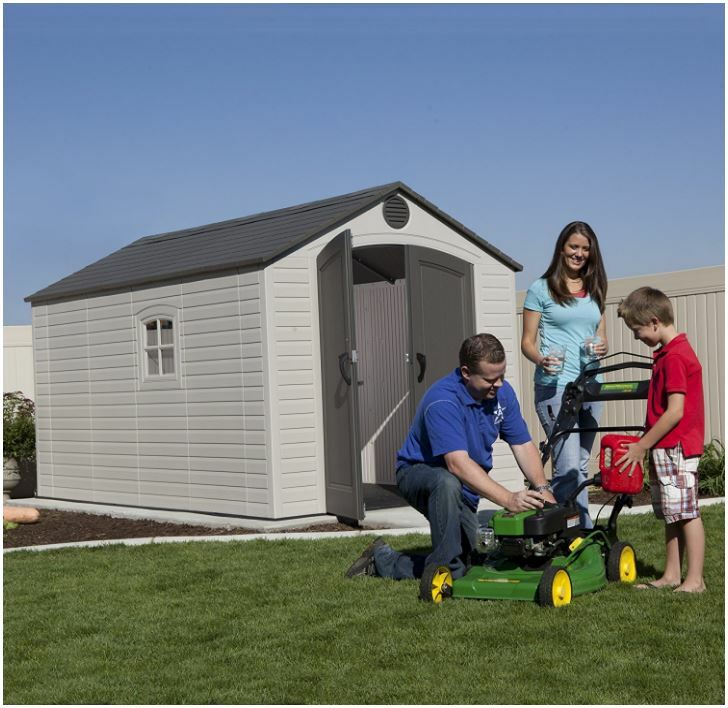 Installation is delivered by a qualified engineer with Lifetime shed construction experience. We have so many friends and family members who cringe at the thought of DIY, constructing a shed in their garden simply terrifies them. Is this you? This inspired me to write this post. Personally I have plenty of DIY and decorating experience so the thought of erecting a small to medium sized facility doesn’t bother me however I would opt for installation if a large shed was on my bucket list as the time-consuming thought of constructing these crosses my boundaries somewhat. ‘Garden Home and Tools’ are a Lifetime products distributor. 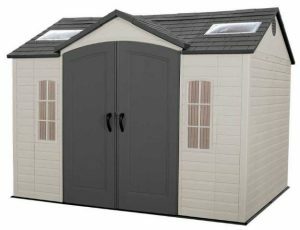 Their vast selection of Lifetime sheds covers the most popular of sizes and then some, ranging from the smallest 8 x 2.5 ft shed up to their largest extendable facilities spanning 11 ft widths with lengths rolling up to 26 ft. Sizes and serviceability suited for every garden’s plot size. Lifetime trumpet out: Their quality of composition and construction surpass all of their competitors. This is rather a bold claim to make considering the new-age arrivals entering onto the market at present however they are hugely popular with global sales, receive superb feedback, include a 10 years limited warranty and are probably the world’s most renowned producer of sheds manufactured with resin, especially in their home country – USA. The only stipulation required prior to assembly regards having a prepared base of solid level foundations for the shed to sit on, a small project most local joiners or builders can accomplish in minimal time or maybe your DIY skills can achieve. Important to note: Plastic shed foundations must be solid and level. General consensus regards preparing either wood, concrete or paving foundations perfectly level for small to medium sized facilities however if considerations are the larger models, advice is to lay a level substrate of concrete raised slightly above ground level for drainage. The larger the shed the more heavy duty service it will undertake, therefore concrete’s their preferred option. Ask the supplier for foundation advice and dimensions regarding your preferred size and model prior to purchase and base preparation, they have a technical department with detailed understandings of Lifetime sheds and their foundation stipulations, they will help you with your queries. Lifetime Products create their facades out of High Density Polyethylene. HDPE is 100% recyclable, environmentally friendly and doesn’t leak harmful toxins into the ground over it’s lifespan. Each wall sheet is manufactured into a double walled skin and molded to exhibit a semblance of horizontal wood panelling to their outer-surface, inclusive of intricate wood-grain details embedded throughout whilst coloured into a desert-sand shade to accentuate the backdrop of any garden’s surroundings. A steel infrastructure embeds within the wall sheets to which the adjacent panels secure with high grade metal screws. Lifetime boast about their wall panel’s robustness; resistant to dents, chips and peeling, quite the opposite of single skinned and metal alternatives. Lifetime’s High Density Polyethylene mix is UV stabilised, specifically armoured with protection to withstand sunburn attack, resisting plastic’s inherent bleaching effect and surface splitting when left unsheltered to sun-rays beating down upon them. Polyethylene is impervious to rainwater and resistant to rust, rot and decay when left in damp conditions, requires no future re-coats of paint or varnish to nurture the make-up and is effortless to wash down to maintain Lifetime’s spotless appearance. The minimalist role of cleaning a resin shed regards a bucket of warm water inclusive of mild detergent and remove the ingrained dirt with a soft brush. Most people simply lightly pressure-wash them down or use a spray-hose, this is something we do regularly on a summer’s evening whilst watering the plants: Maintenance made fun, quick too! The key is to refrain from using abrasive cleaners to avoid scratching the surface. Lifetime roofs are manufactured with the same High Density Polyethylene resin the walls possess, molded into dual lined panels accomplishing a stout topping that’s impermeable to rainfall and resistant to weather deterioration. Unlike roofing felt’s rapid disintegration when exposed to dampness, polyethylene’s composition remains unchanged without involving frustrating future re-placements. Each roof sheet is molded on the outer-surface to display an effective semblance of slate tiling, capping Lifetime’s off to stylish effect whilst securing to the roof framework the roof panels are further supported by a steel truss system that spans across the shed’s internal apex width. As Lifetime’s roofs expand throughout the range, their steel truss system extends throughout the shed’s length, under-girding the roof structure with reinforced support able to accommodate heavy snow-loads. Lifetime design super high pitches in an apex structure for their roofs: this ensures quick efficient drainage that crucially overlaps the shed walls, eliminates the occurrence of puddles developing on top whilst spacious internal headroom is delivered, more than adequate for an adult to move around without crouching over. Avoiding any sort of hemmed in feeling, daylight is delivered through their walk-in range by virtue of either skylights embedded within the roof or a translucent poly-carbonate skylight strip implanted within the apex roof-ridge running the shed’s full length. Lifetime ensure their sheds maintain a clean & dry internal environment by integrating floors that interlock with the facade walls. Their thickset resin floors are intentionally strengthened to survive the pressures of weighty sit-on-mowers whist resistant to solvent & oil stains, cleaning spillages becomes an undemanding duty. Anchor placements are presented at various points across their floors to enable securing the shed down onto the foundations below. Poly-carbonate windows are installed into the majority of sheds and some allow for opening yet they accompany the skylights in the roof for the admittance of daylight to illuminate Lifetime’s interiors. Straight shelves, corner shelves, peg strips and hooks are many times inclusive, check the description with your preferred facility. Full length steel hinge pins rather than individual hinges accommodate Lifetime’s doors whist their operation is accompanied by large grip-able handles with press button tops to control their latching mechanism. Steel reinforced, High Density Polyethylene regards Lifetime’s wide double doors make-up whilst high arches deliver easy access. Dead bolts fitted to their left hand doors enable that door to be kept shut on windy days whilst security is accomplished through a padlock clasp. Air-vents destroy the myth that plastic sheds sweat and put to an end to the occurrence of condensation building up on the inside. Lifetime incorporate air-vents at either side of their sheds to generate a fresh air current to the interiors, this fresh ambience increases storage preservation qualities. 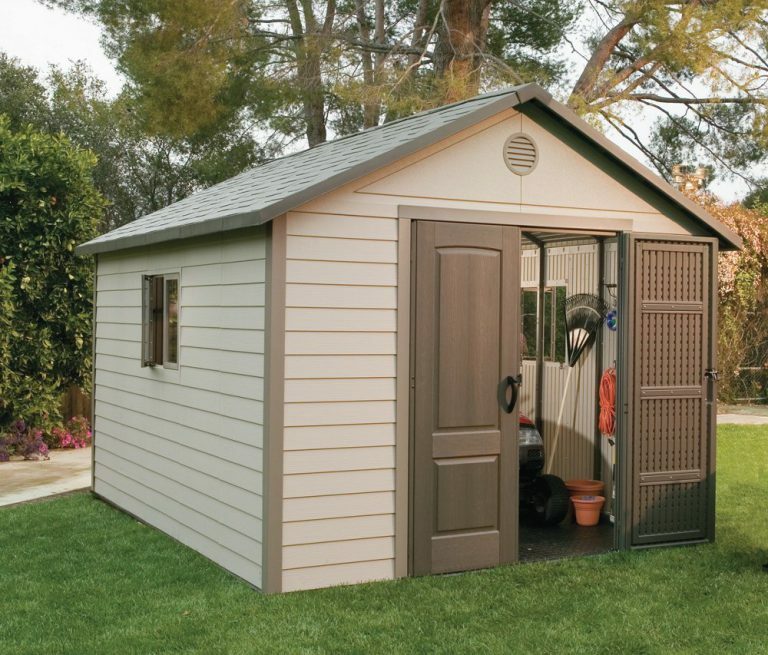 Hope this solves your DIY worries regarding assembling a Lifetime shed in your home-yard. 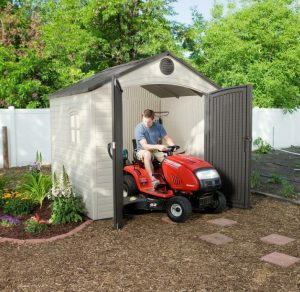 ‘Garden Home and Tools’ offer the solution to purchase your desired Lifetime shed and opt for expert installation to accomplish the perfect construction, available throughout the UK. 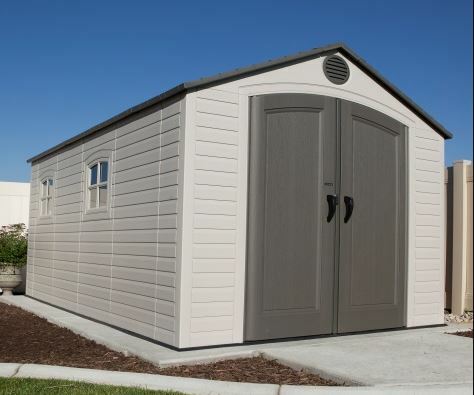 10 years limited Lifetime warranty covers the entire global best selling range of low maintenance weather-resistant Lifetime sheds and they do receive one heck of a high percentage of impressive feedback through reviews. Their only issue usually relates to construction headaches, this assembly service solves the problem. Spanning 2.5 ft up to 26 ft, there’s a size suited for every garden location. Thanks for reading about Lifetime’s assembly service. If you have any assembly queries, please ask in the comment section below. 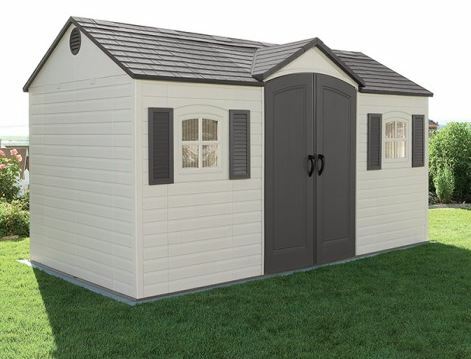 Good morning l am wanting to purchase a 6 x 4 shed for my elderly mother and would like it installed. Can you please advise me on the best product and cost. She lives in the PL12 area. Hi Patrick, unfortunately most of these resin sheds require self assembly. Maybe worth checking whether a local handyman or friend would like the DIY role of constructing the shed. They are similar to a large furniture self assembly project that require 2 people to work through the order of instruction steps implementing what’s shown. The only resin sheds I have come across where installation is offered relate to Lifetime sheds. 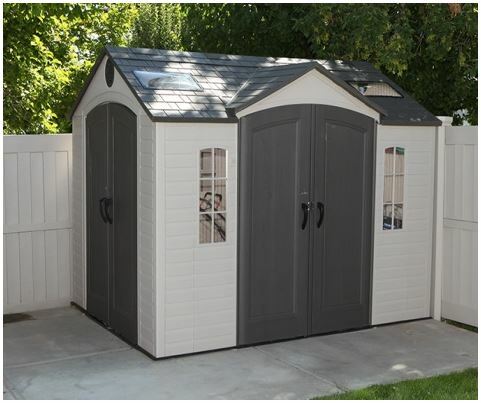 This Lifetime Shed Installation link comprise of 2 sets of prices, one for the shed, the other inclusive of installation. This is a page packed with information and great photos so if you’re in the UK and thinking about a shed in your garden, this is the way to go. Does this company operate in the US as well? Thanks for this information and insight. 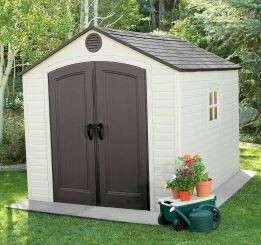 I’ve been thinking about putting a shed in our backyard and plastic is the way to go. 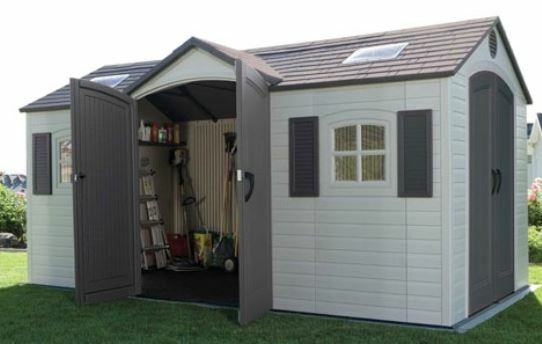 Thanks for calling in to read about Lifetime’s shed assembly service in the UK. I’m glad you find the info informative, I always try to come across as descriptive as possible so visitors receive the correct info to exactly what the title is about. Regarding images, I always try to find the best sources as photos say so much more than words can ever describe and this is a very visual subject. Lifetime sheds are a US manufacturer, their sales probably outstrip all their competitors. 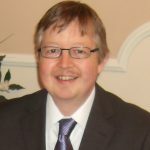 Regarding assembly: Amazon used to have a shed assembly service throughout the US which received outstanding feedback causing me to generally point visitors towards however this seems to have disappeared lately, so I’m back to searching for a comparative service whilst hoping Amazon’s will return. A low-maintenance weather-resistant make-up escapes future upkeep duties and they are effortless to clean, the reason for their growing attraction, best decision we ever made for the garden, ours has been no hassle, unlike our last rotting facility.